Setting aside money each month for normal home maintenance and repairs may keep you from having to borrow money against a high interest credit card, a loan against the mortgage, or a financial sacrifice. The amount of the cushion depends on a few variables about the home and whether it’s a rental property or your primary home. 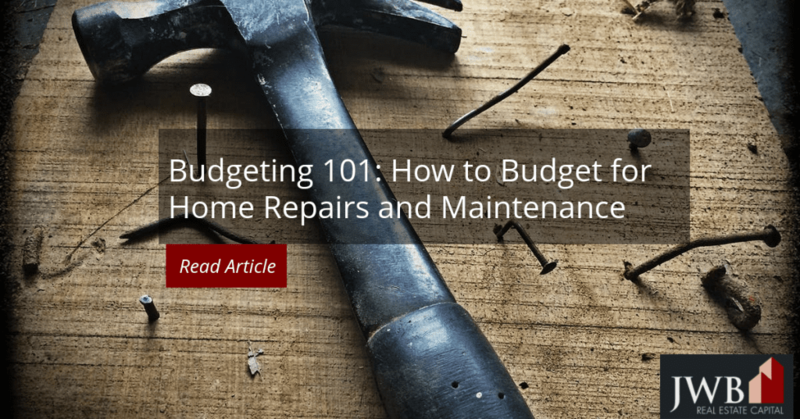 Here are some things to consider when you sit down to make out your budget for home repairs and maintenance. Financial experts recommend setting aside one percent of your home’s value per year for maintenance and repairs. However, that amount needs to be tempered by the home’s age and condition. A home with a swimming pool will need a larger maintenance and repair budget. Just like cars, older homes require more attention. If you own rental property, you may want to use a different formula, although the one percent rule applies to them, as well. Some recommend that you set aside half of the rental income. Florida landlords have a narrow window for repairing critical appliances and functions, like HVAC systems and water heaters, along with plumbing and electrical systems. Having the cash immediately available will speed the repair process. It’s also helpful to budget for home repairs around the condition of the roof and sewer, both of which are normally high ticket items to replace. If the home was built before the 1980s, it may use orangeburg, which is a type of sewer pipe prone to collapsing and disintegration over time. Shingle roofs last between 20 and 30 years, while tile won’t need replacing for at least 50. Orangeburg was made from cardboard and tar, which is why it weakens over time. In Jacksonville, it can cost from $85 to $135 per foot to replace it using trenchless methods. Tree roots can damage any sewer line, too. If your lot has mature trees with invasive roots that lie near the sewer line, you should budget accordingly. An HVAC system should last between 12 and 19 years and water heaters 10 years or more with routine maintenance. The air filter needs to be changed monthly in the summer when the A/C runs frequently and make sure that no one ever puts anything against the outdoor condenser. Every other appliance in your home or rental unit also needs maintenance, although to a lesser extent. Dryer hoses should be replaced annually and refrigerator coils vacuumed or dusted a few times a year. Homes with pets and carpeting have higher dust loads that increase appliance maintenance for HVAC systems and refrigerators. Rubber washing machine hoses will weaken over time, although flexible metal or PEX hoses will last for decades. Plumbing also benefits by cleaning the pipes periodically by using vinegar and baking soda and avoiding harsh chemical drain cleaners. Bathroom sinks and tubs require more frequent cleaning to prevent clogs. Some maintenance projects can be turned over to the pros, whether they’re for your home or a rental. HVAC pros and plumbers will take care of the big systems in your home, and property management companies tend to every aspect of rental units. If you don’t have the know-how or the time, it’s worth it in the long run to use professionals. Property management companies use trusted subcontractors who are licensed, bonded, and insured. Their rates are often below retail because of the volume of the management company requires. Regular maintenance will prevent nearly every premature problem associated with a home’s mechanical systems. Setting aside a monthly contribution for home maintenance and repairs will help you survive a major expense in the future. Talk to one of our investment specialists to learn how JWB can help you better manage your budget for home repairs and maintenance in the Jacksonville area.